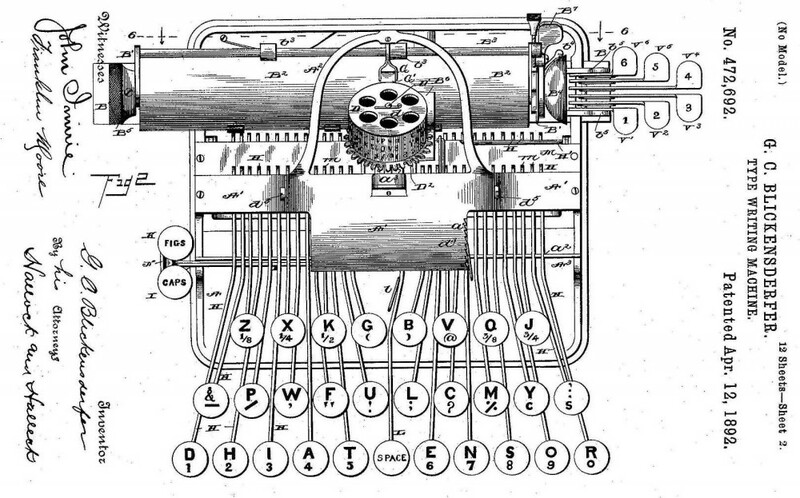 On April 12, 1892, the first US patent for a truly portable typewriter was issued. The patent, No. 472,692, was issued to George C. Blickensderfer of Stamford for a “type writing machine.” The machine worked on the principle of a revolving type wheel that reduced the number of moving parts from 2,500 to 250, improving reliability and reducing the weight by one fourth. The Blickensderfer Manufacturing Company eventually became one of the world’s largest typewriter manufacturers.